Whilst I was a student at the University of Liverpool in my mid twenties, I was a volunteer at the World Museum and there started my love of these amazing treasuries. In fact, no, that is a lie, it goes further back. The love started aged around 7 at Manchester Museum which was one of the few places that I was taken to on family outings and also my primary school used to take a coach load of us there quite frequently. I adored mummies, dinosaurs and Lindow Man. One of the many streams of interest in my life that still remains today which shows how amazing museums are and taking your kids there could really create a lasting impression. It did with me. Great memories and a bit of a macabre fascination with bones and preserved bodies. Oh yes, Liverpool...... Well I was mostly in the basement, enjoying a strangely delightful smell akin to musty pear drops dealing with drawer after drawer of bird specimens (none killed for the collection I must add! ), peculiar and a little sad looking with tags on them. All strange to me at first. The rest of the time I was cooing and fawning after cases of coleoptera (beetles) or sneaking off to antiquities. I relished being behind the scenes, seeing the huge collections not shown to the public at that moment in time. Meeting some wonderful eccentrics and working on great projects too out in the north west dealing with old ecological records and identifying bumblebees. It was a dream opportunity. So, I am so excited to see all the events for Museums at Night which is this week, Here are my favourite picks of celebrating museums and galleries after the sun has set. Exploring the cellars with a torch, making dragon masks and then a disco before settling down to watch a film in the historic Reading Room and staying over until the next morning. Yes, really! I'd do this now, sounds like my idea of fun. At the School of Music there will be a tour of its Medieval grandeur with the accompaniment of acoustic music. Chetham's is the oldest public library in the English-speaking world and by night this is set to be a mesmerizing event. Georgian grandeur by candlelight with performers showing what life was like in this high society townhouse. Supper and a murder mystery to solve. Have a look through the telescopes and maybe see a meteor shower. The London Spaces and Places exhibition will be opening to the sounds of jazz music in a pop-up park atmosphere. 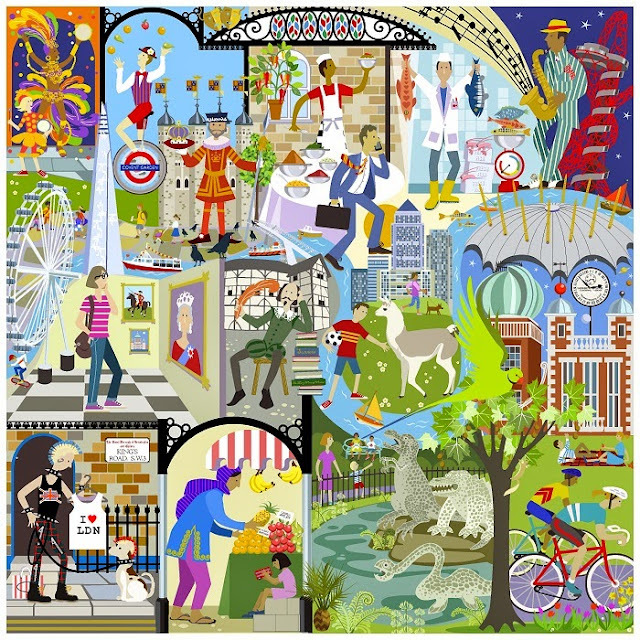 Listen to a talk on London's lidos ( a passion of mine), play garden games or take part in the pub quiz. Beamish Museum, party down the miner's pit. Live music and a parade. National Maritime Museum, Cornwall. A torchlit tour and lots of Vikings. Yorkshire Sculpture Park, lake and folly walk by twilight. Underground at Fort Nelson, exploring unseen tunnels & drinking Madeira wine in the Officer's Mess. There are over 600 events so if you have evening's free later this week have a little look on their website to see what's on. So many events I would love to attend. 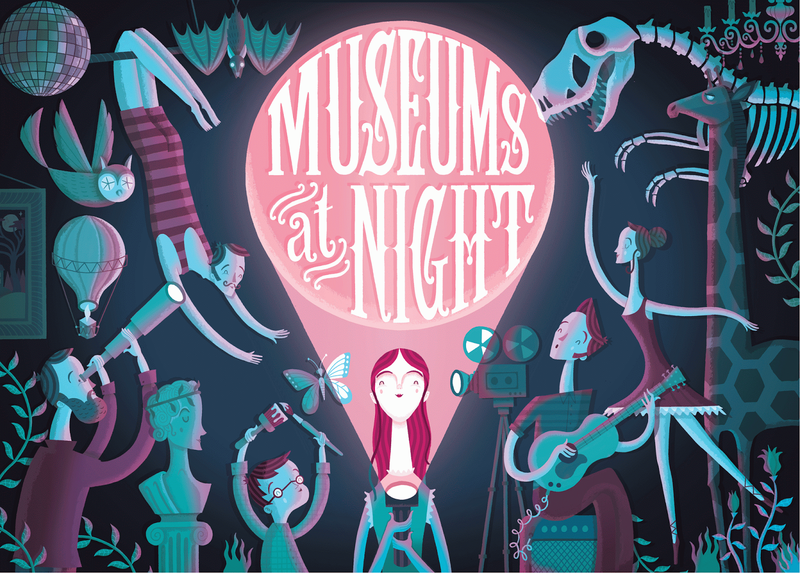 If you miss out this May then do not despair for Museums at Night will be back in the autumn, Hoorah, spooky autumn fun!